Posted in Uncategorized. Tagged an uneasy mind, conservatives, democracy, entitlement, freedom, government, individual choice, liberals, liberty, politics, welfare. “The government must help those who truly need assistance.” This line struck a chord with me, Billy. In 2011, the company I worked for was shut down by our corporate office. Yes, I had savings to cover my expenses for a few months, but this was during a time where jobs were limited and so many people were searching. I was unemployed for 8 months. I felt guilty taking assistance. Many friends told me that I had paid into the system and deserved the assistance, so I applied. If it hadn’t been for those additional monies, I don’t know what I would have done. With that being said, I know the assistance wasn’t something to depend on forever, it was there to get me through a difficult time as I diligently searched for a new job. During that time, I also added another degree to my resume. I didn’t expect the government to support me forever, they were there temporarily and for that, I’m grateful. Blood, sweat and tears is what I experienced during those 8 months and as a result, I have a full time job that I thank God for every day. Have a great weekend, Billy! Very well said, Bill and Jill. 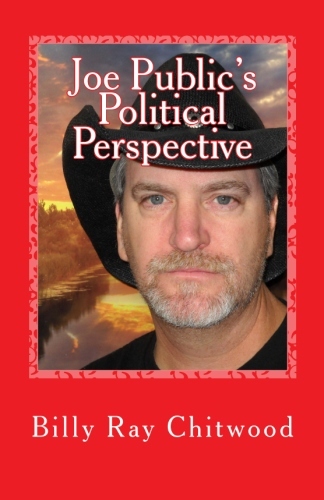 I have “Joe Public’s Political Perspective” on my nightstand and will dive in soon. I look forward to insights as well as controversy. And you’re so right, Bill, that we are fortunate to have freedom of speech in our country. It is so valuable and necessary to keep us free. Thank you, dear Jill… You’re always there for me. What an interesting piece! Best of luck to you!